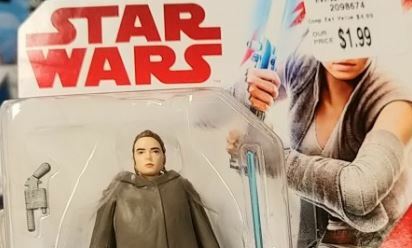 If you have a Tuesday Morning store in your area, you might want to swing by as they have been getting in The Last Jedi Force Link figures recently and selling them for the low price of $1.99. 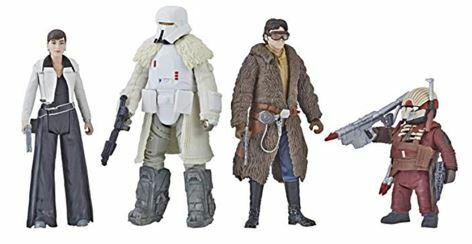 They seem to still be getting in more 3.75″ TBS ($3.99) and 6″ TBS ($6.99) figures. Their store locator is here. If you have a Dollar Tree store in your area, if might be worth your while to swing by and see if they are getting in Rogue One figures. Their store locator is here. Personal Note: At two different Dollar Tree stores in the St. Louis area today, I found remnants of the following: Darth Vader, Rey (Jakku), Director Krennic, Chirrut, Jyn (scarf), Cassian (blue coat), Princess Leia (animated Rebels). For $1.00 each! Maybe these are remnants from Toys”R”us warehouses, but they couldn’t find someone who would sell these for more than a buck each? 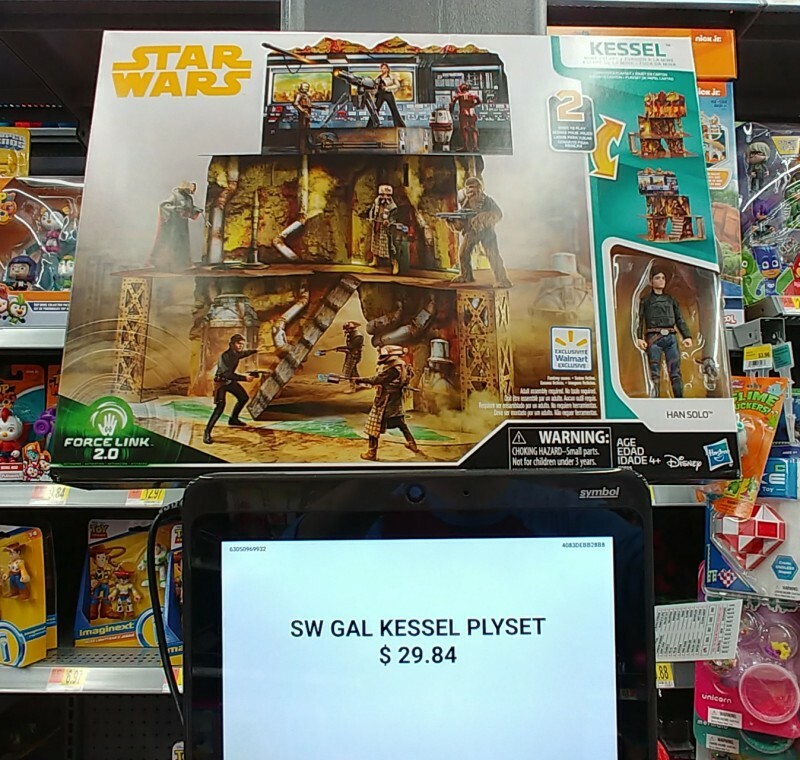 The Cassian and Jyn figures are already starting to pile up… so maybe this was a good call… on any note, no more 5POA, Hasbro and Disney… please. The product is just too boring. Modern Star Wars figures need enhanced articulation and more variety of aliens and droids in the mix. 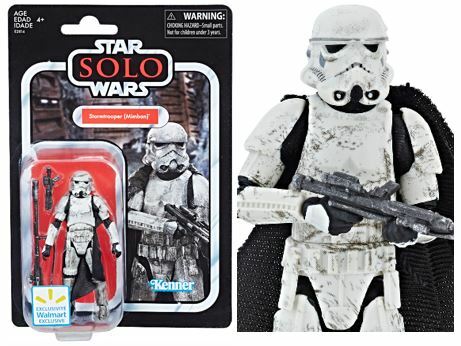 If you haven’t scored any TVC Mimban Stormtroopers (or are looking to add to your existing army), Walmart.com has the TVC Mimban Stormtrooper in stock… as of this post, they are still listed as available at the standard $12.99 price. They have free shipping on orders over $35, or you can also select to have them for pickup at your local Walmart. Personal Note: Don’t miss out on this great figure! I can’t wait to have a few extras to repaint into extra gritty troops on Mimban! These seems to be no end to the number of AT-ST’s ($9.99) and certain 6″ figures ($2.99) in the supply chain at Ross. 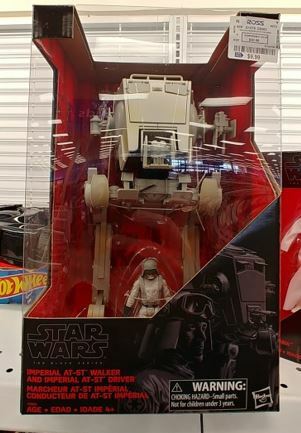 If you have a Ross in your area, it might be worth your time checking to see if they are still receiving Hasbro product from The Black Series. Good luck and let us know about your success (or lack thereof)!